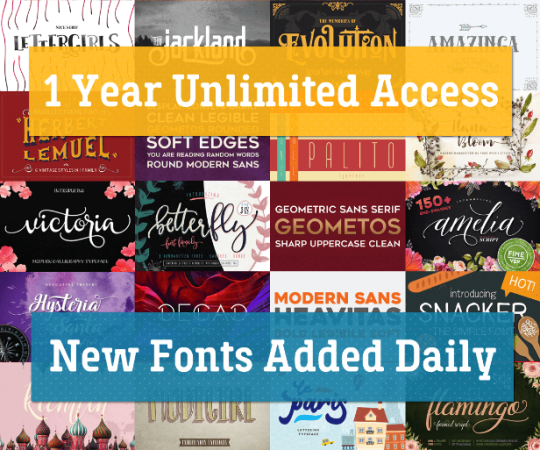 DEAL: 1300+ Premium fonts, $27 for a year - save 75%! This week’s deal is an incredible savings on access to a library of over 1300 premium fonts for a savings of $87. 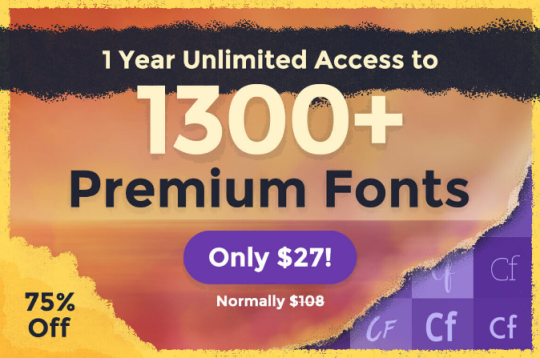 Pay only $27 for every font you’ll need for a year. Creative Fabrica offer a huge library of fonts that you can access when you need them. Not everyone knows what projects they’re going to work on in the next year; this subscription means you’ll find exactly the font you need when you need it. For a limited time, Creative Fabrica are offering a one year subscription to their service, with no costly automatic renewals. Typically worth $108, you can save 75% and get the subscription for only $27!